Trees sustain damage during storms throughout the year. When part of a tree is falling down, it’s important to get the tree pruned and cleaned up right away. Not only is it beneficial for the tree so that it can heal and continue to grow, but cracked and broken branches pose a safety hazard. You definitely don’t want parts of the tree to fall on your car, home, or family members! 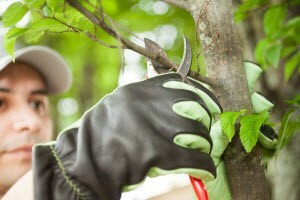 So don’t be afraid to seek the help of tree pruning companies to assist with storm-damaged trees. Pruning trees in the winter is a great way to ensure that you’ll see a vigorous burst of growth in the springtime. So if you have some puny trees that you really want to see blast off in the new growth season, winter is the time to prune them. It’s best to wait until any hard freezes have passed before doing any winter pruning. Pruning trees in the summer has the exact opposite effect. When you take off branches in the summer, growth is slowed down because you have removed active leaves. This reduces how much photosynthesis is happening, and thus reduces the plant’s ability to feed itself and keep growing. For trees and shrubs that produce flowers, it is possible to promote more flower production via careful pruning. 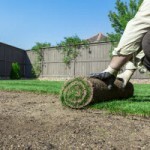 If your trees flower in mid to late summer (in other words, right about now), trim the plants in winter or early spring. If the trees bloom earlier in the year, prune those plants right after their flowers have faded and fallen. Paying close attention to the different blooming and pruning schedules will ensure a more vigorous bloom the following season. Fall is the time of year when pruning should be avoided at all costs. Plants seem to have a harder time recovering from fall pruning. Autumn is when fungi release the majority of their spores. When those decaying fungi spores enter the cut tree limbs, it slows the healing process and can causes disease within the tree. Once fall arrives, it’s best to wait until next year to trim the tree, unless it is a matter of safety. As you can see, tree pruning is not as straightforward as you might think. For these reasons and many more, it is always a wise choice to hire a professional tree pruning company to clean up your damaged or overgrown trees. Call Su-Tree at (404) 392-6935 for more information about tree pruning companies.